Posted by hslu in Global Affair, Obama. Putin called Obama because he wants to achieve his annexing parts of Ukraine through diplomatic means instead of force. With a phone call to Obama, the topic of making Ukraine part of Russia, or requiring Ukraine going through the so-called “deep constitutional reform,” becomes official. Anything Lavrov can get from Kerry is icing on the cake for Putin. 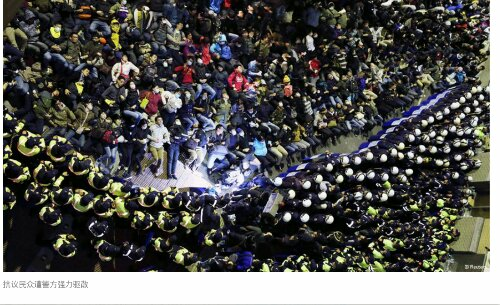 What will 马英九 do to satisfy the demands of these protestors？What can he do? The actual number of protestors is not important. The official estimate by the government was 110,000. The organizer’s estimate is 500,000. 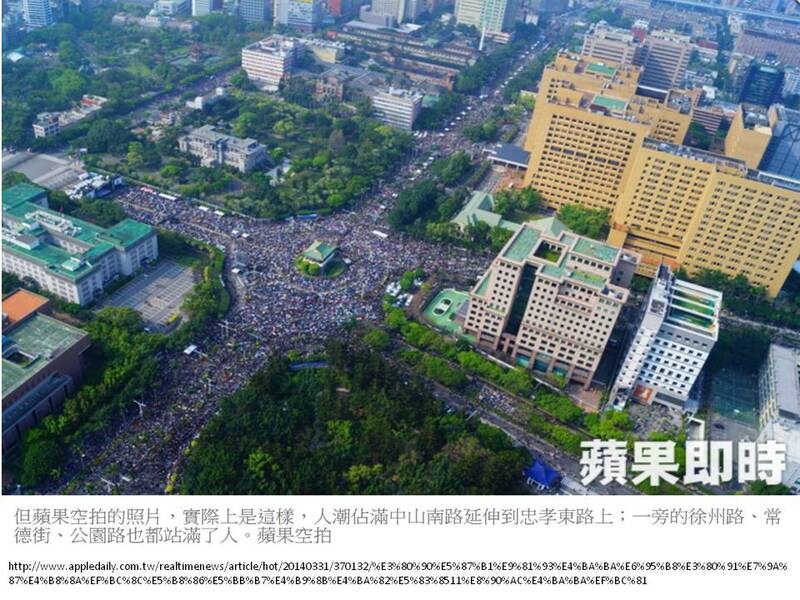 The troubling part for 马英九 is that these protestors are united. They won’t back down until their objectives are met. Posted by hslu in China, Global Affair, Military. 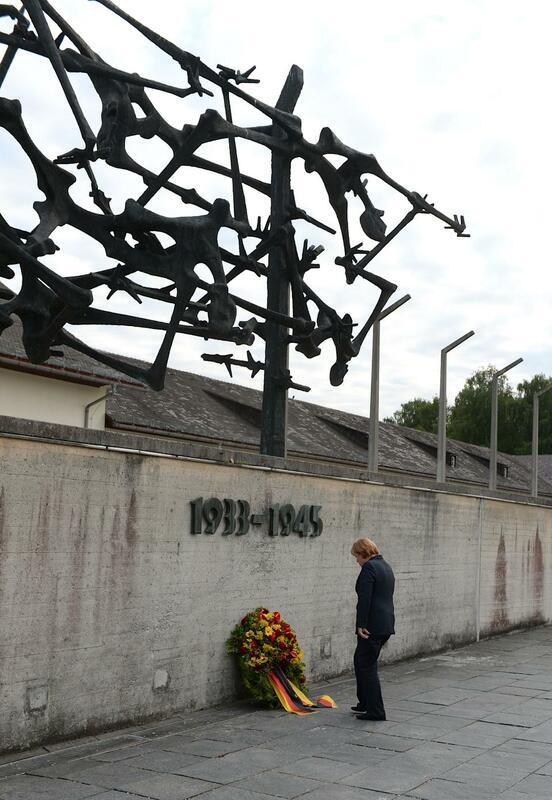 At a think-tank forum Friday in Berlin, Xi criticized Japan’s wartime atrocities, saying the Japanese military killed more than 300,000 people in Nanjing in 1937 when it occupied the Chinese city. The selection of the venue by Xi Jinping to expose Japan’s war crime in front of foreign press members in a foreign country was an excellent move. It exposes Japan’s lack of attrition for its aggression against other countries during WWII, including China, Korea and the United States, among others. It also bought the issue to the world’s attention so that Japan can no longer deny that it didn’t happen. 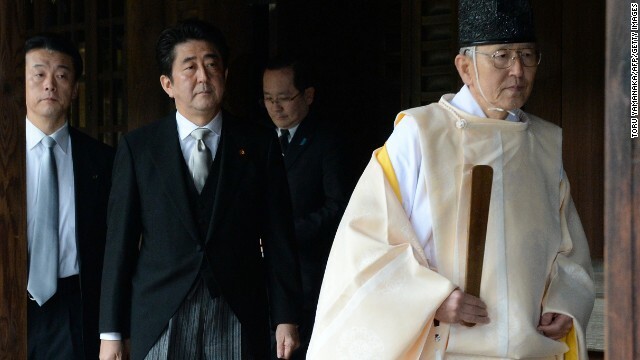 The public condemnation may slow down Japan’s push to revise its constitution and re-arm its military. I salute Xi Jinping’s boldness. Posted by hslu in Cold War. After annexing Crimea became a fact, Putin offered Obama a diplomatic way out with a phone call to the White House and Obama took it to save his face. It was not a “frank and direct” phone call. It was a smart move on the part of Putin. Why did Putin call Obama in the first place? Did Putin offer to return Crimea? Of course not. Formalize Crimea as part of Russia. Stop more sanctions being considered by the west. Show the world that Putin is a reasonable person after all. Let the world know that Russia is still friends with the United States. Offer Obama a chance to save his face after being defeated by Putin again. Voice Putin’s concern that more Russians in Ukraine want to return back to Russia. Legitimize Russian’s massive military presence around the border of Crimea and Ukraine. 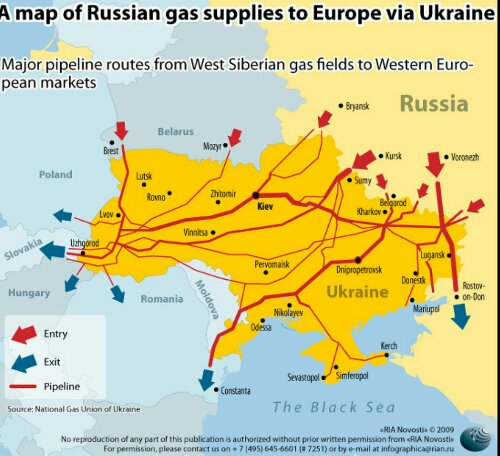 Make sure that Russian’s vast interests on oil and gas pipelines in Ukraine are well protected. The bottom line: Obama is being put in a no-win situation by Putin’s phone call. What is this，you might ask? Well, these were the number of Taiwanese people, mostly students freshly graduated from colleges, who went to Singapore looking for a better life. Why Singapore, isn’t Taiwan a wealthy country, you continued? Well, these students get paid more in Singapore than they would earn in Taiwan. What do they do in Singapore; engineers, financial analysts. accountants or managers? No; most of them work as waiters, waitresses, hostesses or store clerks at hotels, restaurants or boutique stores at shopping malls and airport. This is called 鍍星 or gold-plated in Singapore. Not a very pretty picture, isn’t it? To be able to work in Singapore, these students received the lowest level working visa from the government. While there, as many as 20 of them share a four-bedroom house; get paid for $48,000 Taiwanese dollar a year (vs. $22,000 if they stay in Taiwan,) have no possibility to advance in their work, can’t get married in Singapore and can’t get pregnant while in the country. If they get pregnant, they either have to get an abortion without their employer’s knowledge or they will get deported by the government. Is this the same place that I once lived for 20+ years many decades ago? Where is the hope for the young people? Posted by hslu in Cold War, Energy, Global Affair, Military. 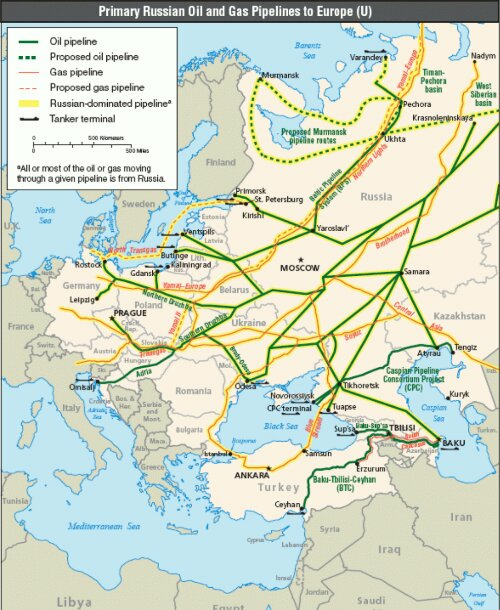 Russia’s oil and gas industry accounts for about 10% of its $2 trillion GDP but Russia generates more than 50% of its federal revenue from export of oil and gas to Europe and other foreign countries. Putin took over Crimea was a done deal once Obama and Kerry removed military action as an option to begin with. All the sanction in the world will not change this fact. The next target for Putin is Ukraine. But why Ukraine? Why not the small Baltic countries? It is because Ukraine has the control of Russia’s ‘小辫子.’ One look of the following two maps will keep Putin up in the night and he has to do something to protect Russian’s vital interests. Will Putin invade Eastern Ukraine now that Crimea has come back to mother Russia w/o a token resistance from the US and the rest of the world? Only Putin knows when. What will you do if you are in Putin’s position? Posted by hslu in Congress, Economics, Global Affair, Islam, Obama, Politics. An Egyptian court in the city of Minya, south of Cairo, sentences 529 Morsi supporters to death, reads one Fox News headline on March 24, 2014. The charge was murdering a policeman and attacking police. These men were convicted after only two sessions of trial even though their lawyers weren’t given more time to examine the trial material. Many of these men were tired in absentia. Another mass trial will begin against 683 suspects facing similar charges. The fates of these people are unknown now. Morsi was a democratically elected president in Egypt. He was ousted by a military coup. Many of his supporters were killed by the government and another 16,000 were arrested. They may face similar harsh punishment too. These people may have to pay the price for democracy with their lives. But is democracy worth fighting for? America has for decades promoted democracy as the one and referred way to govern. But is it? Look at Taiwan. Democracy has bought the country to its knees. 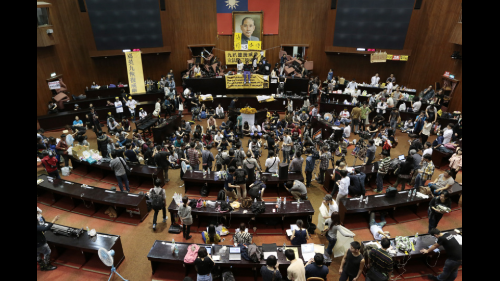 Thousands of students have stormed the office of the legislators for 10+ days demanding the withdraw of a pending legislature agreed upon by the current government and Chinese government. Look at Thailand. Protest after protest have bought the democratically elected government to a standstill. Look at Egypt. Democracy has no chance succeeding there because Islam is the dominant force in the society. Morsi’s democratically elected government was bought down by force. Morsi’s supporters have been killed and thousands have put in jail. A military government is in place and the future of democracy in Egypt is seriously in doubt. Look at Iraq. Tribal killings continued even though a democratic government was put in place with American’s backing. Thousands have died and thousands more will die later. Peace has stayed away from the country after America invaded the country under Saddam. Look at Italy. A new government was formed once every year or two. What benefit has democracy bought to Italian people? Greece is in an even worse situation. Democracy was used by politicians to hijack ordinary people’s money and gave it away to secure votes for their next election. In the end, the country suffered in the hands of politicians who were elected under a democratic system. And, last but not the least, look at the United States. Obama, under the disguise of democracy and with helps from Reid and Pelosi, is doing all he can to advance his followers’s benefits at the expense of the others. Wealth re-distribution has been expanding to reinforce the welfare system. Obama is looking after his party’s benefit but not the nation’s. To him, democracy is just a tool; a very effective tool, to advance his agenda even though poll after poll showed that majority of the American people don’t agree with him. This is not democracy. It is democracy under siege. And where was the opposing party in the midst of all this? Well the Republican Party was reduced to a token opposition at best under the rules laid down by the democratic system. Democracy, it appears, only exists in name only because it has broken down completely. Democracy has turned into a fight of ideology and the nation’s interests become the secondary concern to these career politicians. Urgent matter got kicked down the road and the American people, with “one person one vote” every four years, have been powerless to stop the train wreck in process. 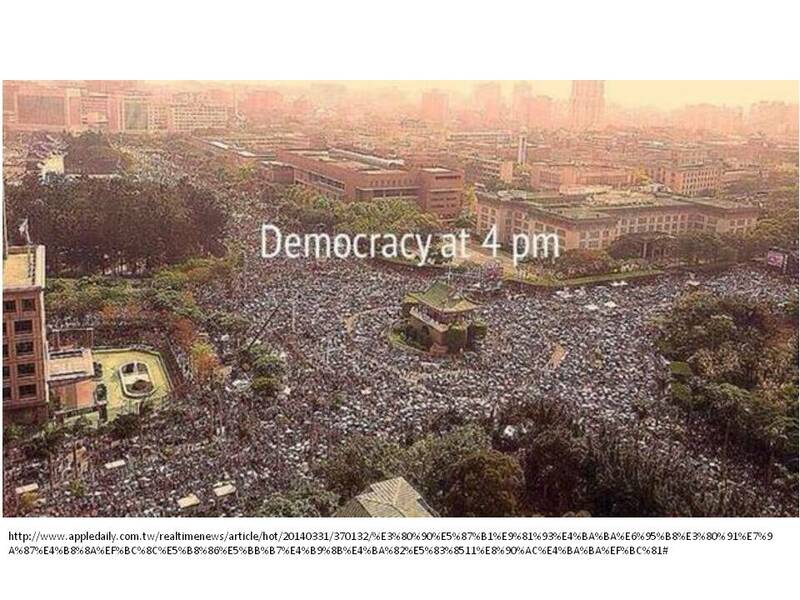 Yet, the process of democracy continues even though only a minority of voters participated in the democratic process. With Crimea formally becomes part of Russia, U.S. DoD planners are busy at re-writing the recently released defense department budget because Cold War with Russia has just started again. Yes, change the budget to $700, $800 or even $900 billion a year while China is still buying the sinking US dollar. Just don’t give people 99 weeks of unemployment benefits plus free food stamps and subsidized Obamacare. The US has declared that they will not recognize Crimea’s referendum Sunday to join Russia. The US claimed at a UN vote that the move is illegal. Hmmm…., I thought the United States is the last defender on earth of Democracy but apparently it comes with a qualifier: it is not democracy if it doesn’t match with American’s interests. What if 51% of peoole in Québec want to form its own country, will America recognize the new country? In fact, 89% of Vienetians wanted to form ‘Repubblica Veneta’ and Spain’s influential Catalonia region wants to go independent too. In some countries, if people don’t like the elected government, they don’t go to the polls; they just use force to kick the government out. What will America say about people’s will in Venice, Catalonia and Egypt?